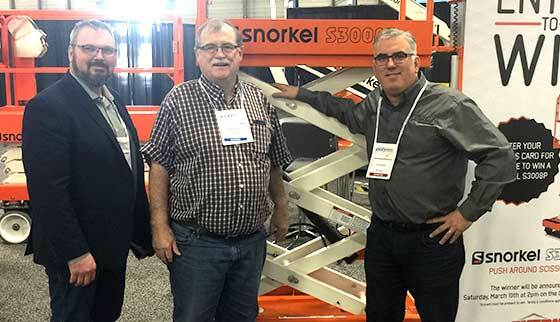 Edmonton, Alberta, Canada (12th March 2018) Ahern Canada celebrated its first trade show in its home town of Edmonton this weekend, by giving away a Snorkel S3008P push-around mini scissor lift. 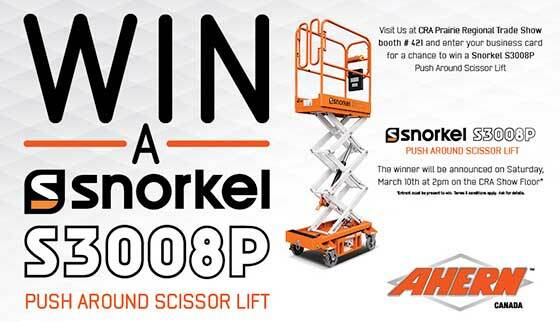 Ahern Canada is thrilled to offer members* of the Canadian Rental Association the chance to win a Snorkel S3008P push-around scissor lift at the upcoming CRA Prairie Regional Trade Show on March, 10th, 2018. 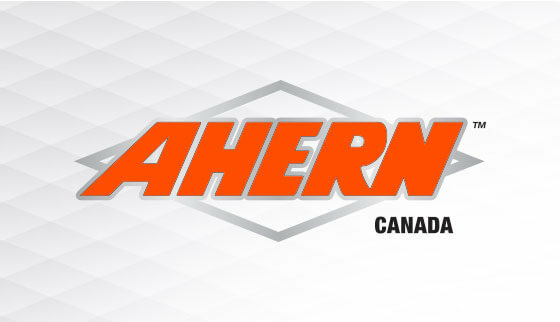 Ahern Canada™ is proud to be a Gold Sponsor of the upcoming Canadian Rental Association (CRA) hospitality event “New Orleans – Jazzy Style” that will take place during The Rental Show 2018. 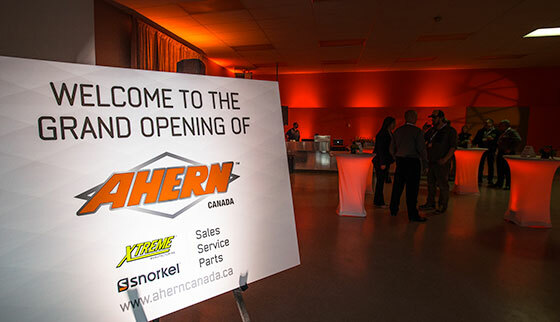 Ahern Canada celebrated their official grand opening on October 19th, 2017 with a grand opening party. 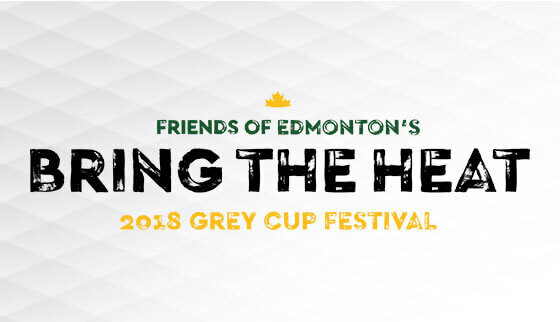 Check out the photos from the event here. 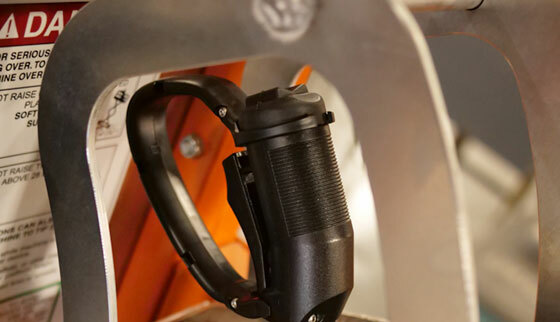 Ahern CanadaTM, part of the Ahern International division, celebrates its official launch today with a grand opening ceremony at its new facility in Edmonton, Alberta.